The year is 2040 and the planet is in danger. Advinte crystals, a new natural resource has been discovered by scientists and it poses a deep threat in the world. Some scientists think that the resource will be useful in the future while others consider it a danger as it is affecting the planet’s nature. The radiation that is given off by the crystals creates monsters, thus human beings have to run and hide for their lives. There is an endless struggle on who is right and who is wrong. Your job is to eliminate the threat and return the planet back to its state of normalcy through Mercs of Boom on PC. Mercs of Boom on PC is a title that simply tells you what you are in for even before playing the game – lots of mind-blowing action! This turn-based tactical combat game is all about deep strategy. Needless to say, the smartest minds will surely win. As a player, you will be head of a massive military corporation. With a hi-tech base at your disposal, as well as the most sophisticated armory and weapons that you have ever seen, you will have the main job of supplying tons of equipment to the most elite soldiers. Mercs of Boom boasts futuristic technology, unforgettable playing moments and advanced warfare. These three things are certainly the recipe for a battle on Mercs of Boom on PC. This is a given especially because you will have a ton of weapon to supply. Your own corporation means that you are boss and you have to make the most important decisions pertaining combat. If you have a team of battle-hardened mercenaries with big guns, then you are ready for the job. Eliminate every threat of the earth by putting all your tactical skills to use in this sci-fi strategy game. This will give you the opportunity to cover all the basics as well as the ins and outs of Mercs of Boom. The tutorial will also let you know what is required of any player. It also showcases the best ways to control your squad. This should definitely give you all the tools that you need to get started. This is defending yourself 101. If you do not know how to take cover, you will be eliminated when the first few seconds of the game. Therefore, the cover remains the most important aspect of Mercs of Boom. Do not leave your squad out in the open as you will all get eliminated in a horrible way. Do not rely on one place to keep you safe. Know how to move around. When it is time to riddle someone with bullets, take a close look at the reticule that surrounds your target. This will let you know whether you will take a good shot or miss it. Go to the search box in Bluestacks and type “Mercs of Boom” without the quotes, of course. That is it! 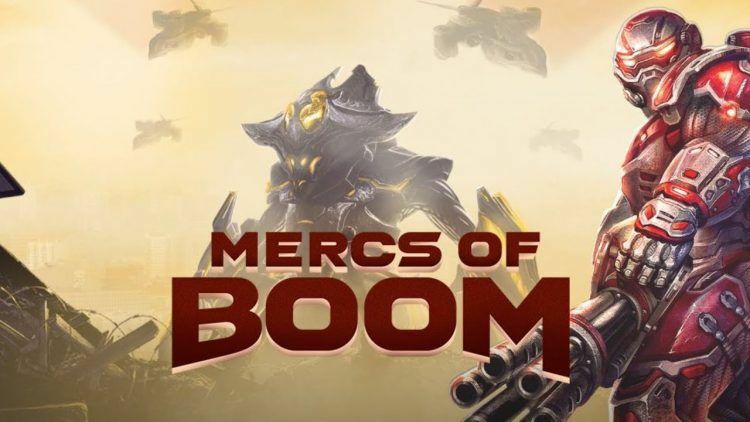 You can now enjoy your freshly installed copy of “Mercs of Boom” on your favorite PC!